Metro trains will run a little more slowly on all but one line this weekend as Metro does scheduled weekend track work. Orange, Silver, Blue and Yellow line trains will operate every 24 minutes and Red Line trains will operate every 20 minutes, Metro said. Green line trains will operate at regular weekend intervals. As part of the track work, Red Line trains will single-track between the Friendship Heights and Van Ness stations. Orange, Silver and Blue Line trains will single-track between Smithsonian and Federal Center stations. On the Yellow Line, riders going to or from stations north of Mt. Vernon Square are advised to use a Green Line train to complete their trip. 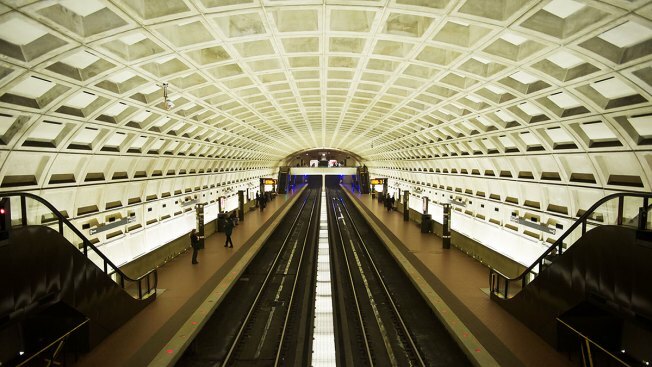 Also, Yellow Line will single-track between Pentagon and L'Enfant Plaza stations.